In the Busy Badger Room at Milestones Early Educational Community, we offer “Wrap Around” learning that incorporates into the 4-Year-Old Kindergarten program. 4K is open to any child in the Menomonie School District, offered in half-day format, AM or PM. Your child is able to be bussed in for either the morning or afternoon session. Milestones also offers a Wrap Around program, allowing your child to spend the whole day at Milestones, involved in the 4K program as well as the activities in the Badger room. Partnering with the local Public School District, the curriculum at Milestones in Menomonie is based on the Wisconsin Model Early Learning Standards. 4K teachers are licensed in Early Childhood Education by the Wisconsin Department of Public Instruction. Utilizing a play-based curriculum, Milestones will be the first step in preparing your preschool age student for Kindergarten in the upcoming year, with a focus on positive social interactions, routines, early literacy skills, and beginning math skills. The 4K Program is modeled after the local Kindergarten programs and focuses on independent work habits. It allows for increased interaction with materials and activities. This program is designed to help build children’s social and emotional skills. Through facilitated play, they will acquire knowledge in areas such as literacy, math, science, art, and technology. 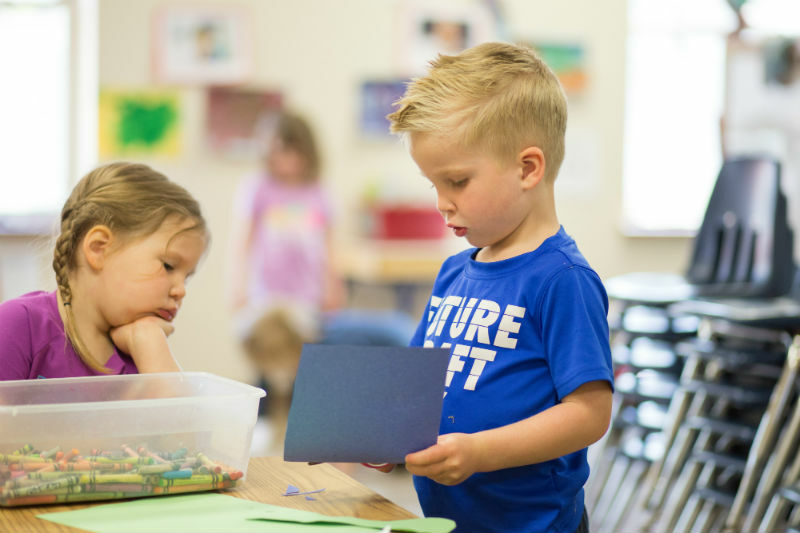 Because the instruction focuses on the way that preschool age children learn best, they will build more comfortable relationships with their peers and teachers and engage in more independent work habits such as unbuttoning their jackets and brushing their teeth. In the 4K Wrap Around Program at Milestone, daily learning opportunities for your preschool age student include: language and reasoning, problem solving, science, math, art, and music. The teachers will also build on the specifics of handwriting, such as grips, lines, curves, and an eventual development towards letters. The Busy Badgers at Milestones in Menomonie are also involved in various field trips and a Christmas program within the curriculum each year. Milestones emphasizes the importance of communicating with the child’s parents on a regular basis. Daily communication sheets are used for updates on the child’s potty training progress. Also, each month we send home a newsletter with the family to share what we are currently doing in each classroom, what we touched on last month, and what is to come. The monthly newsletter lists any special days or scheduled events coming, along with giving parents reminders about important things that are happening at Milestones. We also deeply value the importance of the conversations we have with parents at drop off and pick up times and believe this is what makes Milestones the most reliable and trustworthy childcare center in the area.